Everyone’s thoughts are on mothers this weekend. 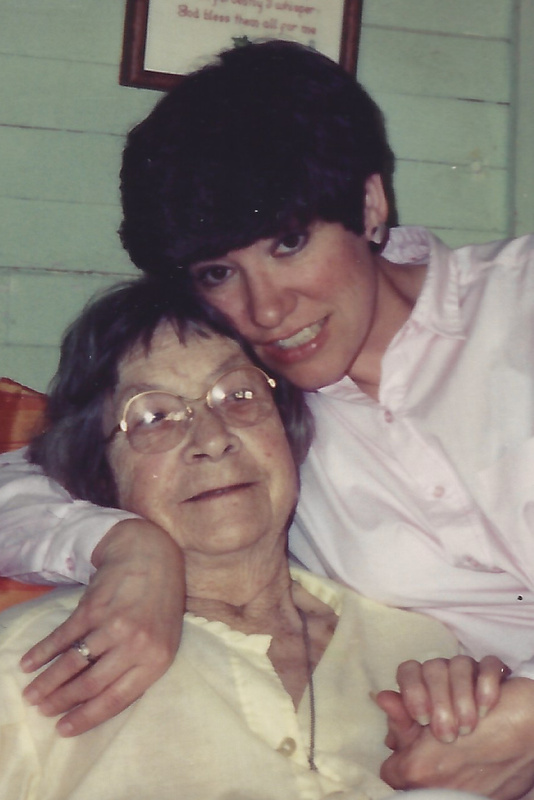 Today I’m honoring my Mom, who left us on May 5, 1995, nine days before Mother’s Day that year. 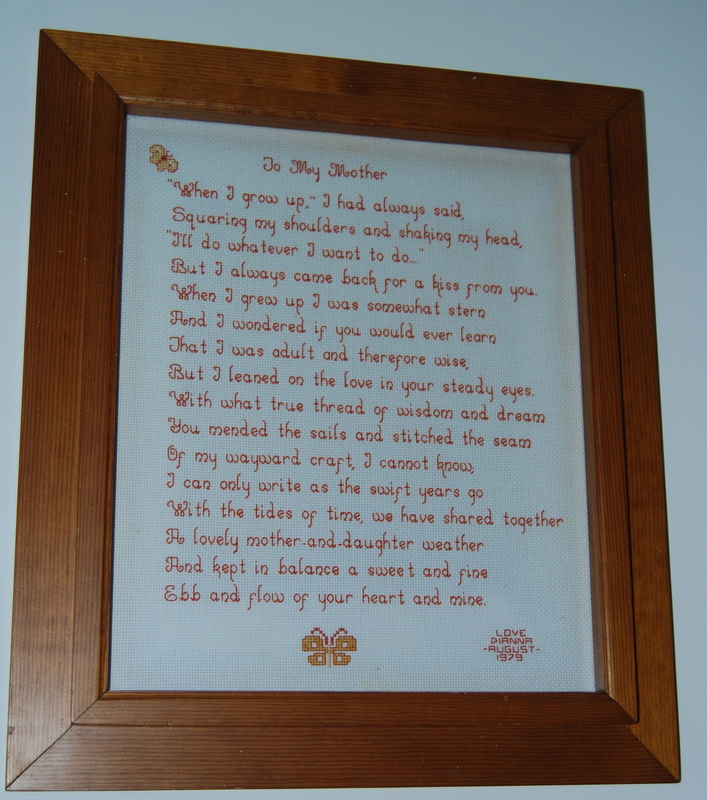 Years ago, I found this poem and cross stitched it for Mom in 1979. It perfectly describes the relationship we had. An online search didn’t reveal any information about it, so I’m not able give credit to the author. I’ll do whatever I want to do. But I always came back for a kiss from you. that I was adult, and therefore wise. But I leaned on the love in your steady eyes. of my wayward craft, I can never know. ebb and flow of your heart and mine. From the time I gave this to her until she went into the nursing home, it hung on the wall in her living room. Now it’s in my guest room. I can’t say that I notice it everyday, but when I do, I’m reminded of our “lovely mother and daughter weather”.